Updated: Clarified verified specs. / Fixed minor typos and added photo. A handset made by Freetel, a Japanese company, was recently approved by the FCC for Cricket Wireless. Documents on the FCC web site detail a smartphone called the Cricket Wave, though the phone is manufactured by Freetel. The FCC confirms specs including support for AT&T/Cricket LTE bands, a Snapdragon 210 processor, 2,500 mAh battery, FM radio, 3.5mm headphone jack, microUSB port, touch screen, memory card support, a rear camera with flash, and user-facing camera. A draft user manual mentions some specifications, such as a 5.1-inch 720p screen, 2 GB of RAM, 16 GB of storage, and Android 7.1 Nougat, though these are unconfirmed. Neither Freetel nor Cricket has announced this handset and it's possible the phone will never come to market. Freetel made a big push into the U.S. unlocked market in early 2016, but gave up quickly. 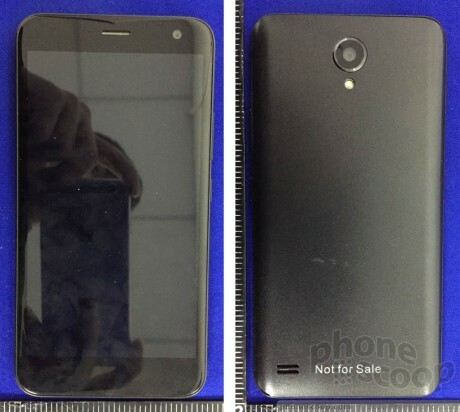 Documents recently published to the FCC web site show what is likely the Alcatel Idol 5, which has not yet been formally announced by TCL. A device with the model name 6058 was cleared by the FCC for operation in the U.S.